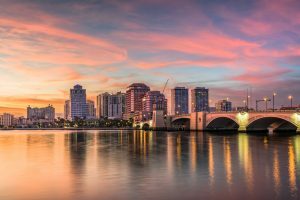 In the West Palm Beach area and looking for a mold removal specialist? Here at A Plus Mold Remediation Inc., we take on any type of mold removal job; whether residential or industrial. Because of the serious health hazards of mold, it’s extremely important to understand the best methods of remediation. The best way to be sure that mold is remediated and is no longer a risk to health is to hire the professionals! 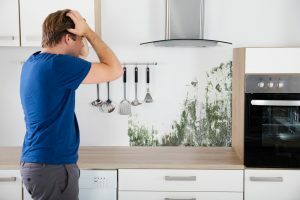 All too often, individuals think that a fresh coat of paint or spraying bleach on areas affected by mold is good enough to keep it from coming back or presenting risk. But because mold is a living and growing entity, these techniques just simply aren’t enough to remove the dangers of mold from a home or business. The only way to be sure that mold is completely remediated and is no longer a threat to health is to invest in a professional service. This is because only the professionals have the equipment and knowledge needed to effectively identify, test, and treat any present mold. Mold is a fungus which spreads by way of tiny spores unseeable by the human eye. They can enter a home or business through an open window or even on clothing. Mold requires a moist, wet environment to grow. The first step of mold remediation is identifying how water has gotten into the environment and cutting water supply off from mold. Since there are hundreds of types of mold, there are different types things to be aware of during the remediation process. That’s why it’s important to hire a mold removal specialist who can test, identify, and effectively treat all types of mold. Mold can live in almost any environment if there is access to water or high air humidity, including both in and outdoor settings. Mold gives off a specific, musty smelling odor which is helpful in identifying where it may be residing in a building. Being able to remove mold from any surface of a home or business including but not limited to ceilings, furniture, cabinets, drywall, roofing, and more! Certified through the HVAC Inspection, Maintenance and Restoration Association. Offering not only mold remediation but general cleaning, HVAC cleaning, mold testing, and mold identification services as well. State-of-the-art equipment and certified technicians to identify and treat any type of mold which can be seen in homes or businesses. Serving all of South Florida including Palm Beach County and the city of West Palm Beach! Need a Mold Removal Specialist in West Palm Beach? Don’t be one of the many individuals who regrets not contacting a mold removal specialist and going about attempting to remove mold on your own. Your family and employees will thank you for their good health and the effective remediation of mold! If you’re in West Palm Beach and looking for a mold removal specialist, consider the experts at A Plus Mold Remediation Inc. for any of your needs! Contact us today to receive a free quote for our services!